Woohoo, it’s Friday! Life seems better on a Friday, I feel most of you would agree. The great feeling of not having to get up early on a Saturday is just the icing on the cake. Plus, we get to live the life that we actually want to live, only on the weekends! But hey! Let’s not be sad. Let’s add some chocolate to our day. I feel that a chocolate makes us feel better pretty instantly. Not only are the antioxidants (in the dark ones at least..) a therapy for the body, but the aroma, the taste, the intoxicating flavour of chocolate culminate into a therapy for the soul. In India, I find Cadbury chocolates among the best affordable ones. Till a few years back, when it was quite hard to find a Lindt or Godiva in India, I didn’t feel the need for these luxury chocolates so badly if I had my good-ol’ Cadbury in hand. 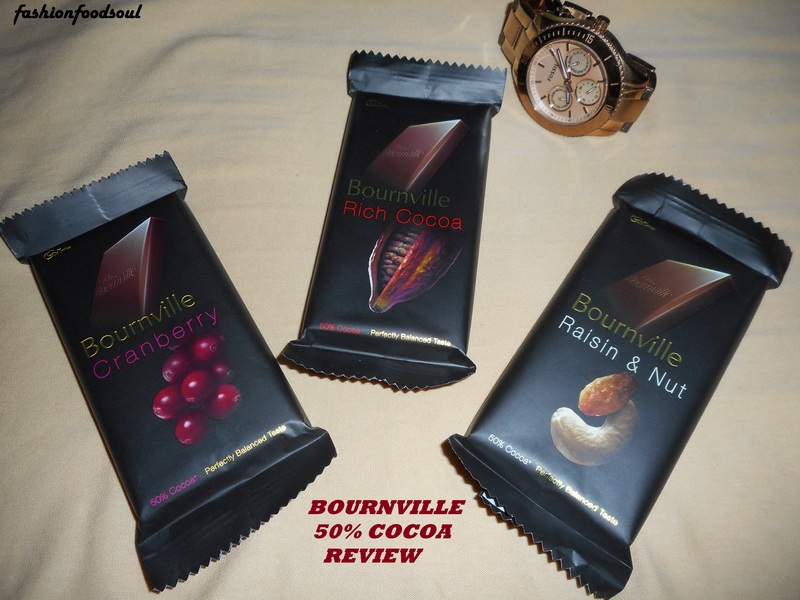 Variants: Right now, the 50% Cocoa Bournville has been launched in 3 variants only. It comes in the classic, Rich Cocoa variant that is plain dark chocolate, there is a Cranberry variant and then there is ‘Raisin & Nut’, which has cashew and raisins embedded in the bar. Earlier, Cadbury had more variants like Hazelnut and Almond as well…why they haven’t introduced all these is beyond me. Packaging: The regular foil, paper and plastic wrapping. However, like all things Cadbury, the foil is gold, which I always prefer over boring silver. It feels so much more regal! Quantity and Price: It comes in a small size (for people like me, who need chocolate on the go!). 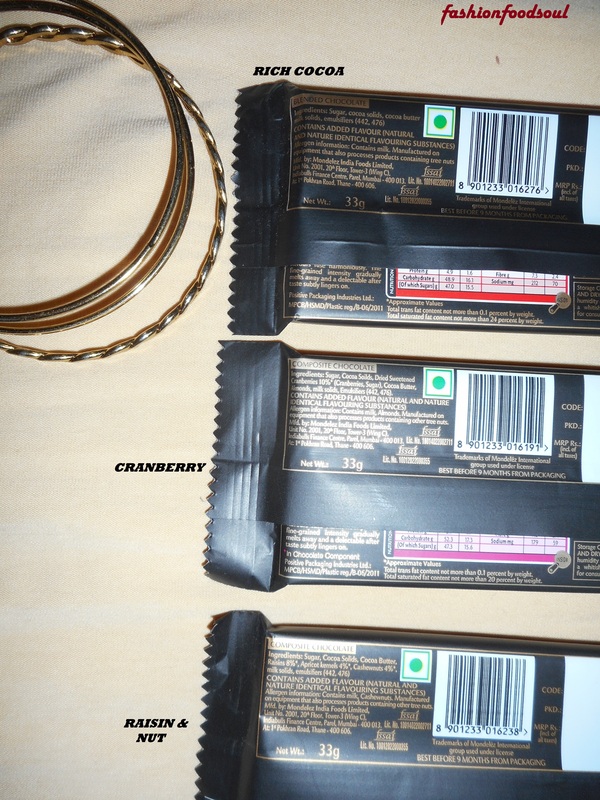 The small size is for Rs 40 and you get 33g of chocolate for that. The bigger pack is also available. Appearance: It’s a gorgeous deep ‘cocoa’y brown! Chocolate is so beautiful to even look at! Rich Cocoa: This variant is my favourite: pure, unadulterated dark chocolate experience. The aroma is amazing and very inviting. The taste is a mix of sweet and dark, justifying the 50% cocoa content. The feeling it gives you is intense. It is very smooth on the palate and you won’t find any grittiness in the texture (some of the cheaper dark chocolates tend to have these coarse feeling in the mouth…). Overall, I love how smooth it is, how it leaves you asking for more, and the aftertaste is also quite nice. 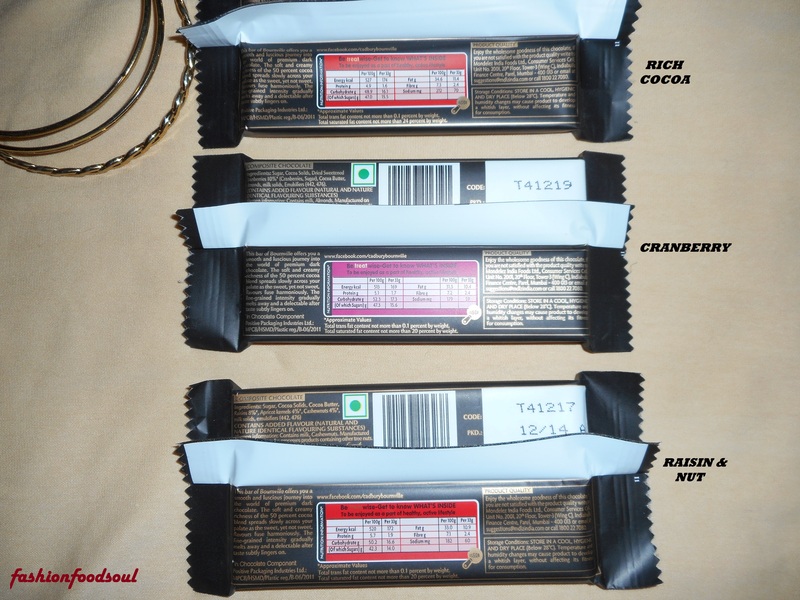 Raisin & Nut: You’ll find some tiny chunks of cashew embedded in the bar. The base chocolate taste is of course, same as Rich Cocoa. And it has some nuts and raisins, which provide another dimension to the texture. A must try if you are fond of nutty chocolates. But yes, the nut bits are quite small, so you won’t find them giving you a very significant taste of cashews. I personally love the raisins in this chocolate, but cashew is hardly there. Overall Verdict: A very decent and pocket-friendly dark chocolate. I suggest you go for the Rich Cocoa variant, as it gives you an uninterrupted feel of eating a good dark chocolate. I personally found the other variants a bit disappointing. That being said, I still feel that this is the best budget dark chocolate in India. It wins on the flavour, the smoothness and the trueness of the dark chocolate experience. If you haven’t tried it yet (have you been living under a rock?!) then a MUST TRY. 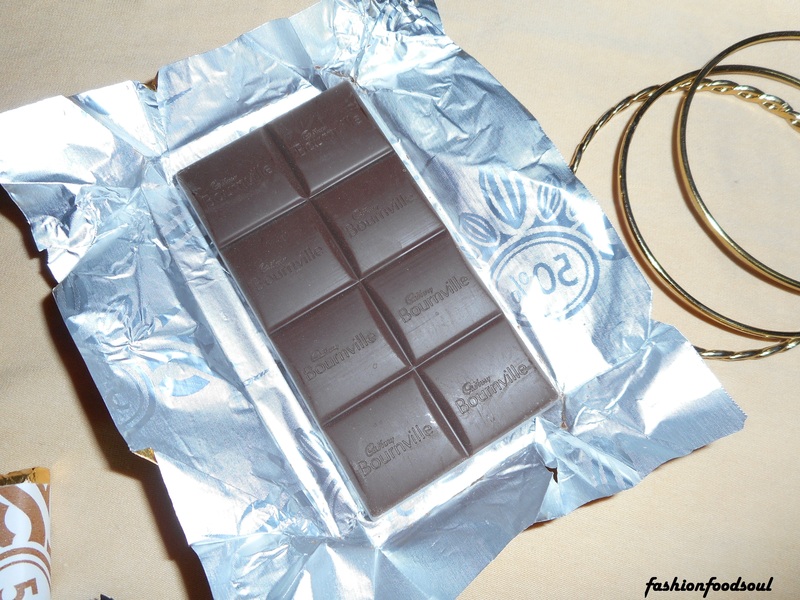 Oh, I adore dark chocolate. I’m so glad it is becoming a larger part of the chocolate industry! It can still be pretty hard to find a good quality, dark chocolate bar here in the states that is marred with random, low quality, unnecessary ingredients. Looks yummy! 🙂 I love anything Cadbury! They’re very good, it’s a milk chocolate egg with a sugary creamy center. They only sell them in the spring time.